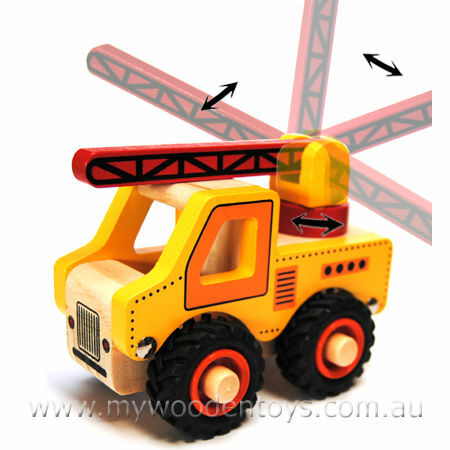 Wooden Truck Crane Rubber Wheels is a very sturdy wooden truck with lovely chunky rubber wheels suitable for 18 months +. This lovely yellow crane has an arm which moves up and down and can also be turned 360 degrees. The rubber wheels are very well attached to the body with wooden axles and turn freely, they are very strong and are all ready for your budding tradesman. Material: Wood, Child Safe Paint, Rubber Wheels. We like this because: "great to find a truck at this price suitable for 18 mths."